Over 80% of our staff are qualified to level 3 or higher. We have a very low staff turnover. Many of our team are also parents themselves. Our staff ratios are in excess of Ofsted requirements. 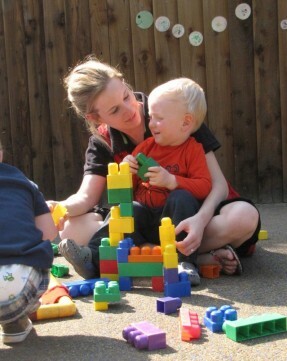 Our Staff are managed by Katherine our Nursery Manager. She has been with us since 2001 and has a foundation degree in childcare. Our Deputy Manager is an Early Years Professional. They work very closely together with the owner to ensure that the nursery is continually evolving whilst maintaining the highest standards. The result is a large team that truly work together to create a very personal and caring nursery environment.